THE SHELVES IN his office are bare, the books that adorned them packed and despatched. The work desk is wiped clean of files and documents that used to crowd it. The show is over, quips Justice J. Chelameswar of the Supreme Court. 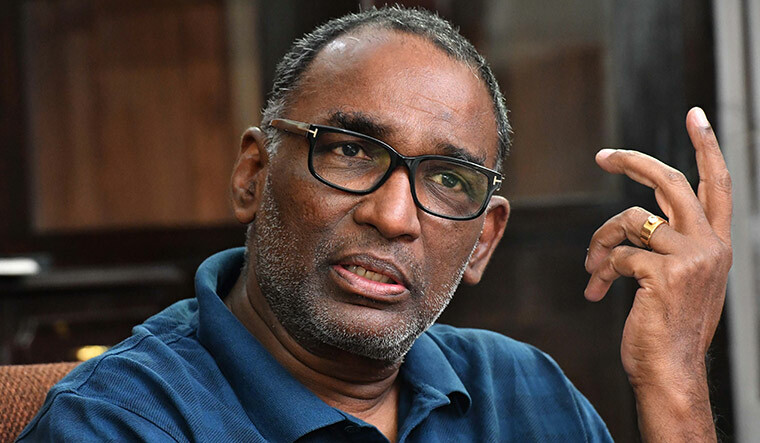 His run-ins with Chief Justice of India Dipak Misra on issues of transparency and accountability in the judicial process have given Chelameswar the image of a rebel judge. He says he has done his karma, and is now ready to settle down in his ancestral village in Andhra Pradesh’s Krishna district. Your critics said the press conference left the judiciary in a vulnerable position. On the contrary, it may help strengthen the judiciary. There are views that it could help in improving the functioning of the institution. A demand was made for a consultation by the full court to discuss issues of concern. He (CJI) is not agreeable to it. However, he is entitled to his views. What is right and what is wrong is now for the nation to decide. You raised the issue of selective allocation of politically sensitive cases. The implication seems to be that external forces are influencing the judiciary. If that is what you imply, then yes, that was the implication. There is something definitely questionable. The way things were happening, it was certainly not good for democracy, and for the people of the country. Do you fear that Justice Ranjan Gogoi could be superseded? I have no such fears. Do you sign off with a sense of satisfaction? Yes. I am satisfied with what I have been able to achieve. I have done my best, and I have done what I believed was right. Are there any concerns with the state of the judiciary? A major area of concern is the time taken to decide cases. A standard accusation against the judiciary is that the wait of the litigant does not come to an end. If you take 25 years to resolve a dispute, it is of no use. Cases need to be decided quickly. It is being said that there is a threat to the independence of judiciary. It has always been there. People in power will always like to have a friendly judiciary. It is not possible for them to tolerate a judiciary which is not sympathetic to their line of thinking. Is the present dispensation also guilty of that? Anybody who comes to power will try to do it (influence judiciary). They have always done it. 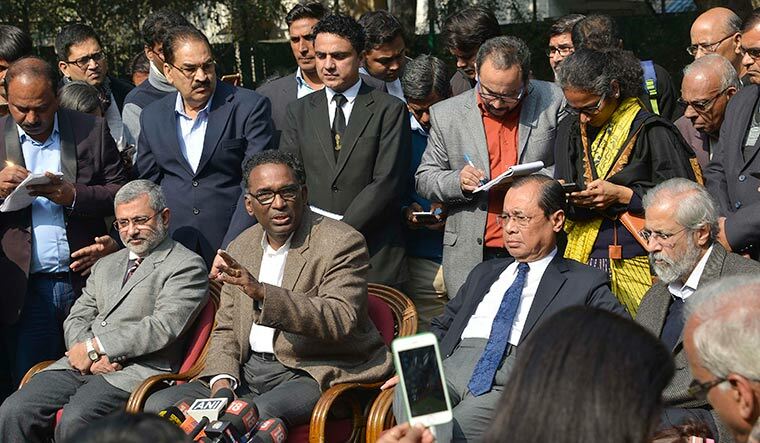 You and three other senior judges of the Supreme Court, in an unprecedented press conference, raised some issues. Have those issues been resolved? Not completely. The issues still persist. Was the case related to the death of Judge B.H. Loya the immediate provocation for the press conference? The Loya case was not the only issue. There were certain institutional problems, which compelled us to hold the press conference. Did you achieve anything from the press conference? We did achieve something. However, the purpose was not completely achieved. Your decision to go public was criticised. I cannot stop people from criticising me. There are a lot of people who admire me for the decision to hold a press conference. The question is of my belief and my conscience. I did what I believe is right. Who has not been criticised in the history of humankind? Jesus was crucified. Gandhiji was assassinated. I am not claiming to be either Jesus or Gandhiji. But, if those great people are not beyond criticism, who am I? The younger generation supported me. Young lawyers. You can see it on the internet. There are a lot of writings in support of the press conference. Is the government one of those external forces? This question should be put to the government. Why is it that the government never opened its mouth? They said it was an internal problem of the judiciary. So let it be an internal problem; we will handle it. In the press conference, you questioned the style of functioning of Chief Justice of India Dipak Misra. Did he reach out to you or the other judges? It could not bring in an ideal state of affairs. What were your expectations with the CJI? Individuals are immaterial beyond a point. The question is about the system. There are certain things which have been happening, at least for the last seven years that I was here. These were not good for the system, not good for the country. Did the issues you raised in the press conference resonate with the larger judiciary? The issues were discussed, if not in public, at least privately. It is normal for discussions to take place among members of an institution with regard to issues that concern the system. A new roster system has been put in place. Does that assuage your concerns? Roster is a minor issue. Far more serious questions were involved. The CJI is the master of the roster. So, does questioning case allocation amount to mistrusting the CJI? We certainly had problems with the way he was functioning. Otherwise, why would we call the press conference? By questioning the allocation of cases, did you not also doubt the integrity of the judges to whom the cases were sent? Equally, it can be said that senior judges were deliberately kept out of benches hearing important matters. That amounts to pointing fingers at the four senior judges, that they are not trusted. How is it that for the last one year, all four of us were kept away from major issues? The question is not one of integrity. The question is of the system. Did you ever feel frustrated at the way things are going? No, I don’t feel frustrated. I perform my duty and don’t bother about the results. I have done my karma. You raised the issue of non-finalisation of the Memorandum of Procedure for appointment of judges to the higher judiciary. What is its status? I don’t know. I can only speak about facts which are in my knowledge. But you were a member of the collegium. I am not the only person who was involved in that process. In the NJAC (National Judicial Appointments Commission) matter, I was the dissenting judge. The decision to have a new MoP was made by the bench, and I was also a signatory to it. After that, each of us had the responsibility to give shape to the MoP. The question should be put to others. I am a retired judge now. You have raised the issue of lack of transparency in the collegium system. Whatever I had to say on the issue, I said it while I was in office. When somebody spoke about lack of transparency in collegium proceedings after the person had demitted office, intellectuals of the country asked why this person did not say it while in office. When I made a comment while in office, they said you should resign and do all these things. There are complaints of nepotism in the selection of judges. There are always complaints about the names that are recommended. When I was appointed to the Andhra Pradesh High Court in 1997, it was challenged. It was said that I was appointed because I was related to the chief minister. When Mr Krishna Iyer was brought to the Supreme Court, there were serious objections to it. If somebody is related to a judge, but is brilliant and outstanding, and is a person of integrity, why should he or she not be appointed? This is a way of perverting the debate. The government seems to be sitting on recommendations for judicial appointments. It is a fact that the government is sitting on some of the recommendations for appointment of judges. When I raised the question of judge Krishna Bhat of Karnataka, you know what happened, what material ‘highly placed sources of the law ministry’ fed to the press about the judge and me. You took up this issue with the CJI. Yes, I did. The name of Krishna Bhat has been recommended twice by the collegium, which includes the present chief justice. Why is the government not clearing it? Please ask the law minister. Is this a pressure tactic on part of the government? If it is a pressure tactic, I did not succumb. Is it a reaction to the Supreme Court scrapping the NJAC law? It is possible. It is one view. What can be done on the judicial side in this matter? It can be debated on the judicial side. I wrote to the chief justice requesting that the matter be placed before the full court. But that has not happened. A reiteration of Justice K.M. Joseph’s name has not happened, despite the collegium deciding to do so. I have already communicated my views in writing to the chief justice, because I knew that my time was up and I was retiring. So I wanted my views to be on record. The government returning his name is certainly not a desirable thing to have happened. You could have been the CJI had your elevation to the top court been timely. Do you feel that you were treated unfairly. It is irrelevant today. There is no point in discussing it now. There is a theory that your reservations with the collegium system have to do with the delay in your elevation to the Supreme Court. This is a story that certain people have tried to sell. It is for you to draw your own inferences. See, this is the best way to pervert the debate. To live peacefully. And to try and make some money honestly. You have said you will not take up any government assignment. Is politics also ruled out? Electoral politics is ruled out. I am not going to contest any election, neither assembly nor Parliament. I will not join any party and seek a ticket. However, I will continue to express my opinion on issues of public importance.